UNIONISM’S prime objective should be to make Northern Ireland work. 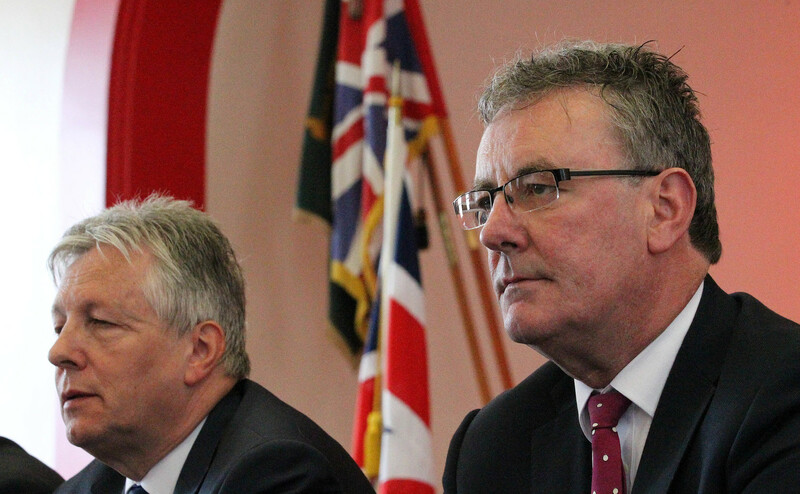 But if DUP-UUP election pacts isolate half the population, are they a sensible tactic? The two unionist parties have agreed to give each other a free run in four Westminster constituencies in May’s General Election. Depending on your point of view, it’s about delivering unionist victories, or keeping nationalists out. Unionist parties insist that consolidating unionist votes strengthens their political power. But are they facing up to the challenges of changing times, or harking back to the past? Demographic trends are on the move in Northern Ireland. The Catholic population is at 45% and may rise. Republicans know there is a section of that nationalist community that is pretty comfortable with life inside ‘the northern state’. Those Catholics may not feel entirely part of ‘Northern Ireland Inc’, but they aren’t ready to get into the trenches to demand a United Ireland. Unionism should presumably be trying to make those people feel as comfortable as possible, especially since the future shape of the Union may largely depend on the mood of that section of the Catholic community. Unionism should logically help those people feel at home by making room for the Irish identity, by embracing a pluralist UK society, and by turning-down the heat on Northern Ireland politics. Instead, unionism is accused of doing the opposite. It is accused of cranking-up the flags crisis in a bid to undermine the Alliance party in Belfast. Unionism promises a Northern Ireland for all, and then it seeks to erode gay rights that are available elsewhere in the UK, and it blocks protections for the gaelic language here that already exist in Scotland and Wales. The DUP and UUP say that maximising their seats will bolster their cause. Many believe unionism’s only strategy is to block change. But it is struggling to do so. Unionism can’t deliver anything at Stormont without the agreement of republicans. Pacts can’t stop demographic change inside Northern Ireland. Pacts are no answer to Sinn Féin’s growth in the Republic and no answer to the growth of the SNP in Scotland. But the unionist parties still have the power to set a new agenda. There are some within unionism who believe the Union would be best protected by positively embracing a new future, but instead politicians are accused of circling the wagons, again. The DUP and UUP may talk-up the potential of holding the balance of power at Westminster, but history shows that propping-up British governments hasn’t delivered any long-term strategic advantage to unionism. Despite all the fuss about unionist pacts, it arguably doesn’t really matter whether or not the DUP and the UUP win the seats they have targeted. If that’s all they do, it won’t change anything.